The Verge has imagined what our not so distant internet future could look like with fast lanes and prioritized content … Your corporate internet nightmare starts now. Recommended reading … get yourself aligned with just how bad things could get. As I don’t currently subscribe to Comcast – nor to I even have the option – I’m curious how things will evolve for the smaller broadband providers like Cablevision. So far they’ve been decent enough … but they are about to be considerably over run by a mega-corp producing, distributing and carrying what could be perceived as the majority of content we want. 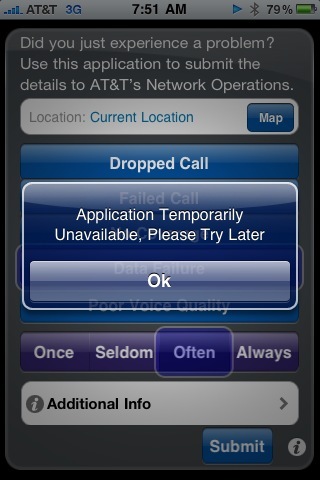 I just had the pleasure of this message when calling AT&T. Their site seems to be down at the moment from enabling account info so I was directed to this number. I didn’t even hear my state … Amazing. Forced Desktop Activation for Mobile? Popped a SIM into a Galaxy Note and found this lovely message. There’s no way around the activation process on the desktop which makes little sense to me. 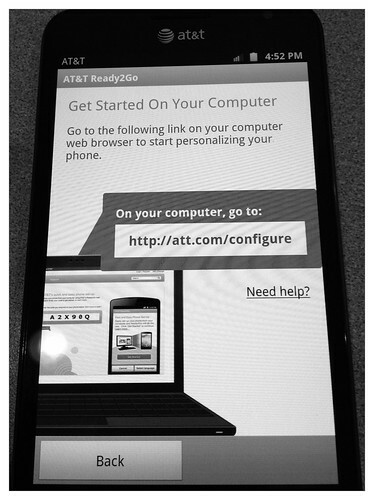 I’m not a new or novice user and this is far from the first device I’ve even activated on AT&T. Having gone through the desktop process now I see they want to make it theoretically easier for a user to add their account credentials and tweak some basic home screen settings, but that’s really not hard in your hand. It would be nice to see a choice. I can’t even use the Note until a code gets sent back to the handset. Actually … with a few extra taps back you can apparently exit out and start with a Google Account, but that’s not exactly obvious. 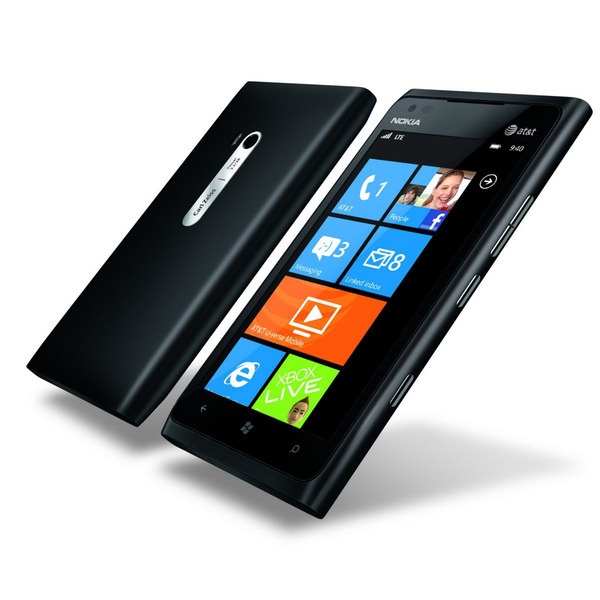 I have almost no interest in Windows Phone but really want to play with the Nokia Lumia 900. It’s amazing to see Nokia back in action, though also sad knowing that they couldn’t pull it all together themselves (Meego). 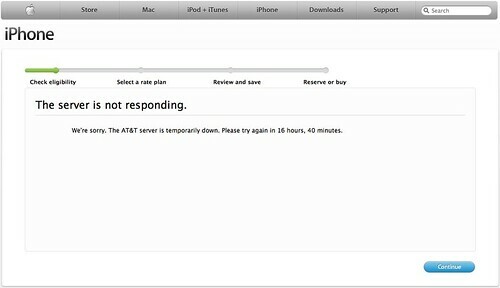 The AT&T Mark the Spot iPhone app which launched this week seems like a good idea until you actually use it. As I’ve discovered it fails to function in two key moments … When there is no data available regardless of gsm signal strength and again when you have no coverage. As these two moments are the likely times when you’d like to share a location ping for the network to have fixed it seems impossble to share. I’m thinking this app is far more about the PR is earns than the problems likely to be resolved. Today Nokia confirmed pricing on their upcoming netbook, the Nokia Booklet 3G. Initially, you’ll be able to scoop one up at Best Buy for a subsidized price of $299. There will also be an contract free option which will be offered for $599. $600 bucks is a lot for a netbook, but the Booklet 3G brings quite a bit to the table. It’s clear that Nokia has really developed something considerably more premium than the typical $300 machine. The aluminum construction is very solid and feels quite like a micro macbook. I’m sure this feel as well as the actual design was no accident and think a lot of people are going to really like how this notebook looks. The 10″ display offers a 720p ready resolution which is higher than standard, but also not too high. I was unable to confirm what the HDMI port can drive on an external display, only that it’s higher than the standard screen. This will be great for users looking to dock at home, though I could see using this in full laptop mode all the time. Best Buy will be the exclusive retailer when the Booklet 3G becomes available in time for holiday shopping while AT&T will be the exclusive launch operator for those looking to buy with a plan. 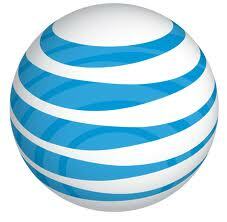 The standard $60/5G/mo plan will be standard, though AT&T alluded to some lower priced price options coming as well. In general, the Nokia Booklet 3G looks like a very compelling mobile computer. I could definitely see using this as my work computer. For my daily tasks managing email, web and social streams it would be perfect and the addition of always on connectivity along with stellar battery performance make it a just about a slam dunk. I’m looking forward to getting a real test machine to confirm my assumptions, but am very excited by what Nokia has done here. Calling all mobile device manufacturer’s, carriers and anyone else who wants to play! This is your chance to prove just how reliable your high end devices are! Â I’m tired of seeing low battery warnings on my mobile devices before the end of a business day and am looking to you to prove me wrong — that there is actually at least one power device that can handle this seemingly simple task. Â My normal usage is probably more aggressive than the average consumer and I’m looking to find the most robust smartphone on the market. I wake each day around 5am using the phone as an alarm. Â It is then, that I unplug and really begin my day on battery. Â I’ll check email from multiple accounts, take a peak at the weather, twitter and facebook. On the train is where your device is going to experience some heavy usage and my commute is 90 minutes total in both directions. Â The train itself is an hour and during that time, you expect the following type of usage: email (mulitiple accounts), twitter, facebook, extensive web usage (mainly google reader), ebooks and multimedia (music mainly). Â I’ll probably check in on foursquare at both ends as well … I’m usually at the office by 9 though sometimes later like today. During Â the course of my business day I make a few calls, stay on track of upcoming meetings (exchange sync), and check-in occasionally with Foursquare (lunch), twitter, facebook and google reader. Â Much of my information flow switches to the desktop during the day, but as I move between meetings mobile usage does come into play. I’ll probably snap some pictures and upload them to various services as well … just part of a normal day. The return commute is much like the morning. Â I tend to take a train anytime between 6 and 8pm so your device needs to be able to last until 9pm. In my experience the only device that has come close is the Nokia E71. 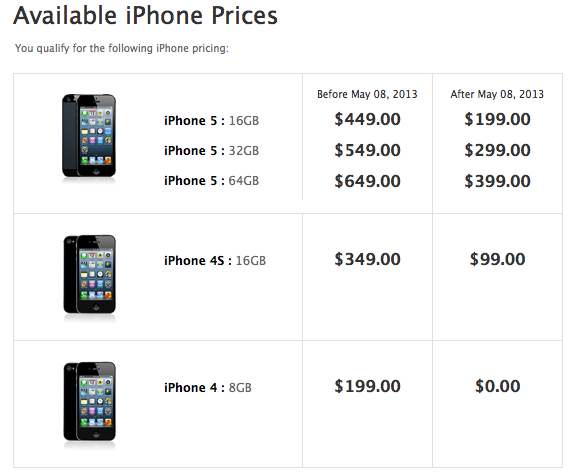 Â The iPhone 3GS ranks among the worst performers … requiring multiple top-ups throughout the day. Â Other failed devices are the Nokia N80 and T-Mobile G1. I’m happy to use my SIM card, but only have a personal account on AT&T so if you want to submit a device to this test, I’m requesting that you cover the data and call plan during the trial. All devices must have 3G service in NYC. All devices must fit into the “smartphone” category. I’d like to test all devices submitted over a few days to understand what’s normal and to make sure they all get a fair shake. All devices will be loaner. Â I’m not looking to take your phones … just test them. There’s no prize other than bragging rights. Â I’m an individual not a company and can’t offer anything other than that. If you are interested in participating, please leave a comment with an email in the contact field so I can reach out with an address to send things. Â If you have any questions, please also leave a comment so others can benefit from the shared knowledge. I’d like to test a good range of products, but what gets put into the ring will be up to you … I expect this to take a few weeks if all goes as planned and hope it’s fun for everyone. It’s hard to make up better errors. 16 hours and 40 minutes?? I’m just catching the news on AT&T’s new TOS which seriously limits the potential for bringing your own mobile capabilities. I think we all get that carriers don’t want to be just a dumb pipe, but let’s be honest the more advanced the mobile device, the less likely you are to be using the carrier offered services – music, navigation etc. Â In today’s smartphone market, we are seeing all kinds of manufacturer and 3rd party offered applications and services and the user is really in control of what they do and more importantly, how they do it. Instead of trying to force us to use devices or specific services (which usually only work on a limited set of devices), I would much rather just pay for my usage – exactly the same way I buy access from my home broadband provider. Â Provide a reliable consumer service at a realistic price and everyone wins. Â Consider this – the new TOS from AT&T means that applications like Qik, Sling or Hava, and Joikuspot are all violations of your basic unlimited plan since unlimited means exactly the opposite – plenty of limits. Should be interesting to see who gets caught doing anything that’s no longer allowed. Â I wonder what the real penalty is actually and if we’ll even receive a formal notice on the change as a precursor to some formal action against the consumer. It’s been a while since I’ve had the pleasure of traveling with a Mac laptop and even though my current setup is a tad unique, the same rules apply. 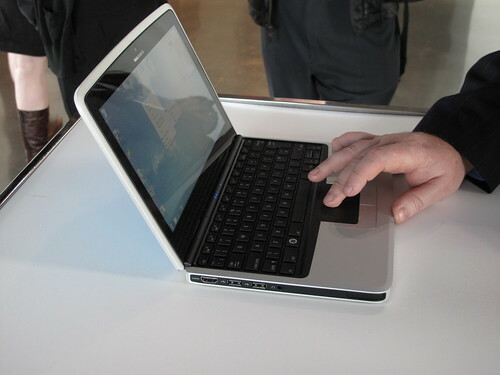 The Samsung NC10 netbook is a killer travel machine … light weight, strong battery life, great keyboard etc. It also happens to run OSX like a champ and I’m really very happy with my sub 3lb mac hackintosh. A few kinks to work out still (brightness controls and sound through the headphone jack) but generally speaking this a great way to go – though far from a simple out of the box experience. With a PC running windows it’s easy to get a bluetooth to phone data connection using either PC Suite or Ovi Suite and your choice of Nokia handsets. On the mac side, you need some modem scripts and and a little patience. I hope this brief guide helps. I’ve written about DUN connections previously but thought this would be a good time for a new post as the conditions have changed. 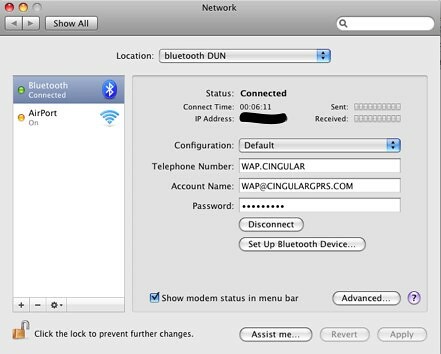 OSX 10.5 has moved things around in the network panel though it’s not too hard to track down what to do. For this example I’m using a Nokia N85 and ATT. 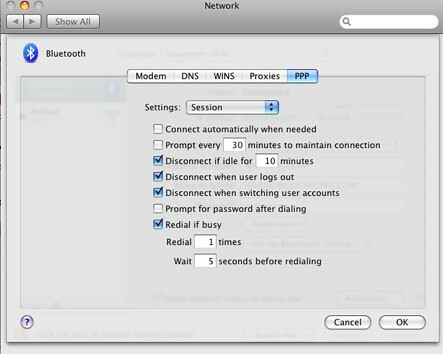 Ross Barkman’s excellent modem scripts are still THE way to go for anyone looking to use a phone as a modem on their mac. I downloaded the HSDPA scripts and dragged them over to /LIbrary/Modem Scripts. Once there they become available within the Network Control Panel though you need to select other as your brand of phone. 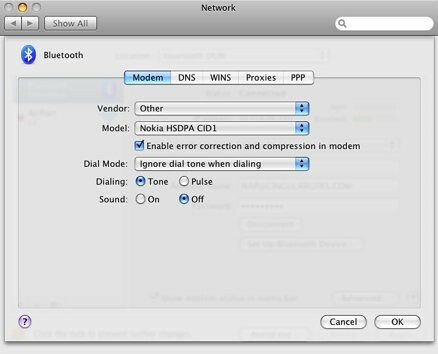 I chose the first script which is the Nokia HSDPA CID1 version. Enable error correction and compression in modem is active and I’m ignoring dial tone. I turned sound off too though because you are not actually dialing I don’t think that actually matters. Last step is to check the far right tab under advanced for PPP. I did not change anything in mine, though you can certainly check the box for Connect automatically as needed if you find you’ll be doing this for an extended time. That will make sure there’s an open network connection anytime something makes a request so be sure you are comfortable with your data plan. I believe I’d previously covered the announced rollout of Cablevision‘s metro wifi network and it seems to have actually gone live now. I see it along my Metro North commute as we pass through the various stations and while I have not had a chance to test the connection speed it feels quite peppy. As a Cablevision Optimum Online subscriber I get access for free which is a nice bonus. I think everyone else is SOL as Ii did not see any way to pay for the connection when I started browsing from my Nokia E71. Before you get too excited about wifi on the train though, this service has been clearly designed for fixed mobile connectivity. It only works within range of the stations – not while the train is cruising along. I realize that’s considerably more challenging and expensive but it actually offers some real value as well. 3G from ATT, Sprint and Verizon is easily accisible and while it might be slow and victim to things like the dead spots we all deal with in our part of the woods, it works at 70 MPH from the comfort of your seat and was the only way I could connect and post this from the train. 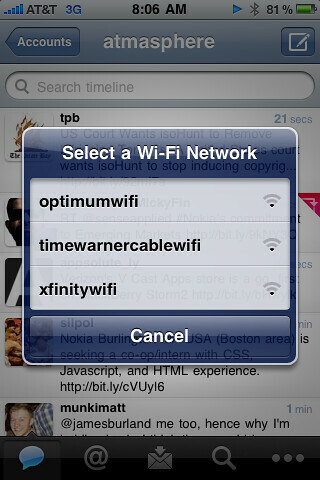 I would like to suggest that Cablevision alter their authetication method a bit for mobile users. The page certainly rendered well for the handset, but keeping a browser window open to stay connected is ridiculous. I’ll have to try using devicescape one of these days to see if that makes things easier. 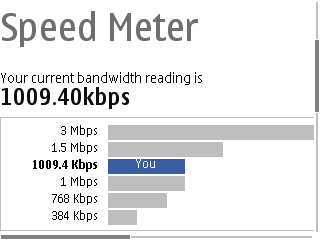 I was actually getting a much better connection in my room, though it was still less than 1MB down. Much better of course being quite relative. Because we can is not a sufficient reason to charge for broadband. You need to provide something of substance and 1MB (if that!) is not acceptable when you are being asked to pay $15/day. Oliver Starr rocking some sweet news via Blognation!! To say the application isnâ€™t yet ready for prime time would be a pretty major understatement as it currently requires the use of terminal on the iPhone to tell the iPhone to use its on-board SIP stack to place the call over WiFi instead of via the SIM card. To use the terminal application, in turn requires that you first Jailbreak the phone using an application like iBrickr or iFuntastic. I have confidence (yes without seeing it in action) that this will be a very solid solution when it arrives and I welcome the opportunity to test it out. My previous experience with TruPhone on the Nokia N-Series has been excellent. Their software auto-switches easily between networks (not with an active call) but makes sure you can make the lowest cost call wherever you are. 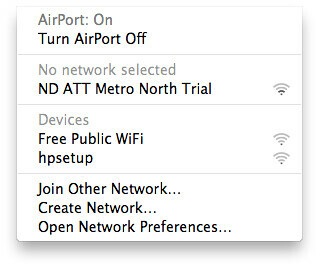 International travelers and people with limited cell coverage will rejoice at this. TruPhone just needs to wait out the pending iPhone software update to make sure they can still get apps installed without breaking things. Andy Abramson has a video of this! Wish I cold figure out how to embed hipcast, but you can just click over to see it in action.